With 2018 coming to a close, it's time to start obsessing over 2019 phone rumors. 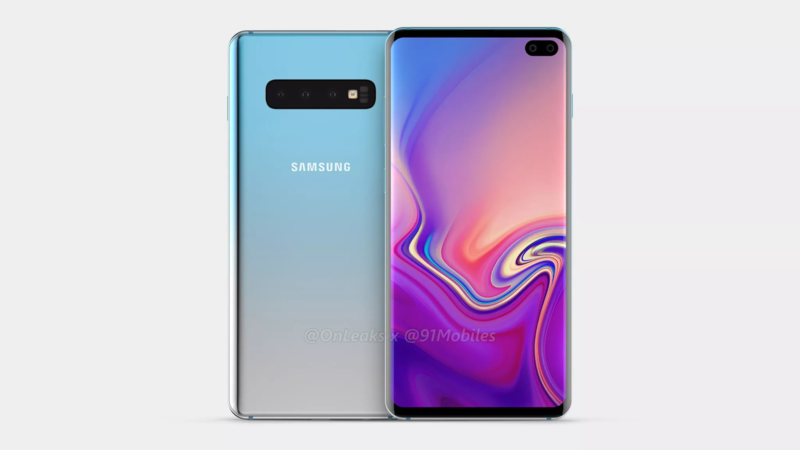 Top of the list is Samsung's upcoming flagship, the Galaxy S10. We've heard a lot of tidbits about this one, and now we've got some renders to go with them. They show a phone with a screen covering almost the entire front of the device, save for an oblong gap in the corner. This could be Samsung's take on the notch, and I bet a lot of you aren't going to like it. 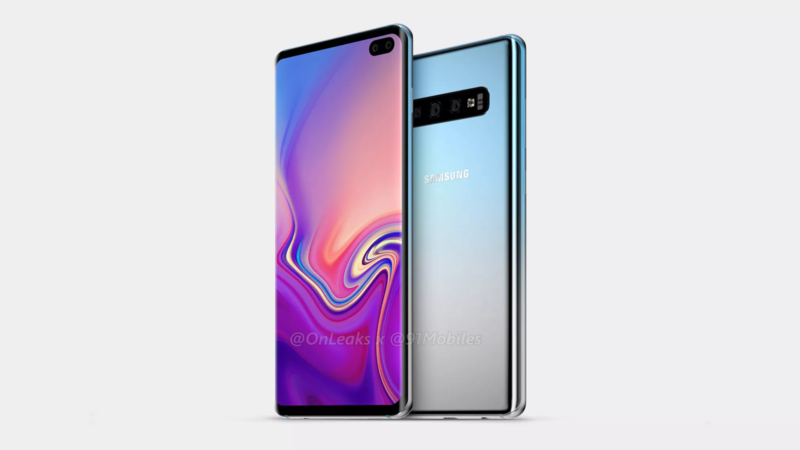 This render comes from OnLeaks and 91Mobiles, and it shows the supposed GS10 from every angle. The one you'll care about the most is straight ahead because the hole in that display is pretty weird. 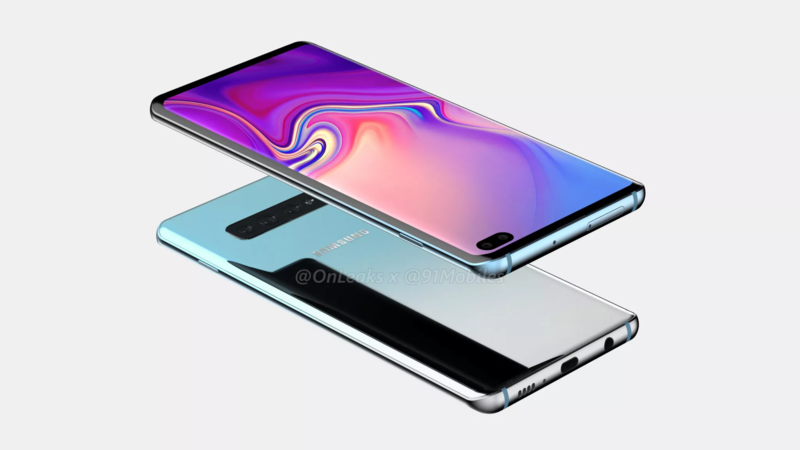 Samsung previously teased the "Infinity-O" as one of several possible notch designs. This phone has a larger gap to make room for two front-facing cameras, but it's also possible that's a single camera and some other sensor like a 3D face scanner or iris reader. The back of the phone is less exciting—there's a line of three cameras along with a heart rate sensor and flash. There's no fingerprint sensor back there, supporting the rumor that Samsung is moving to an in-display ultrasonic sensor. There's also a headphone jack on the bottom edge of the rendered phone. We're still at least a few months away from the Galaxy S10 announcement. 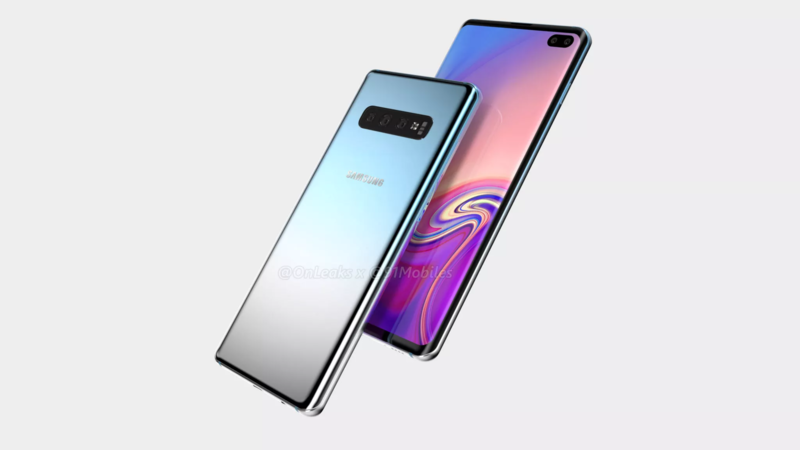 We can't know for sure how accurate the details are at this point because these renders probably come from leaked CAD files, not the phone itself. That's common for OnLeaks content, but past renders have been very accurate.